Lilliputian Systems, a new player with $90 million in funding from big-name investors like Atlas Ventures, Rockport Capital and Intel, has just announced its first product – a USB powered fuel cell replacement for traditional cell phones batteries. Thank goodness! With the increase in power-hungry 4G phones and other electronics, users are having to charge more often throughout the day. Since the device is based on the USB standard, it is convenient for almost everything. 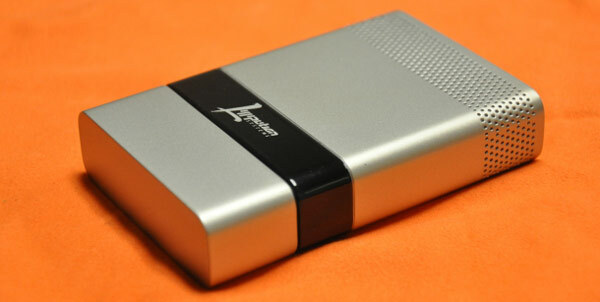 The device has been under development for almost 10 years and is seen as revolutionary in the portable power market. This eco-friendly, reusable charger uses its own patented technology which is fueled by recyclable high energy butane cartridges. It is airplane friendly both domestically and internationally as it has been approved by the US Department of Transportation. This innovative charger should also appeal to people who do not like to carry multiple charging docks with them all the time for their various electronic devices. This solves another problem for international travelers as well – no need to hassle with power converters in other countries, just attach the charger to the phone through the USB port. Works great in any country, or when no outlets are available. The only problem seems to be the limited number of charges for each fuel cell. For instance, it can charge an iPhone 14 times, but then the user has to refill the cartridge on the device, making it less attractive for its target market – people who travel a lot – it’s not clear whether they will be up for carrying around extra fuel cartridges, especially when the cost of baggage fees keeps going up. The device will be launched and marketed through Brookstone. The reusable charging device is rumored to be priced around $100-$150 and the cartridges around $5. Update: The company have changed their name from Lilliputian Systems to Nectar. This entry was posted in Articles, USB Charger, USB Devices, USB Gadgets and tagged eco-friendly reusable charger, Fuel Cell Technology Charger, Lilliputian Systems, Portable USB Cell Phone Charger, Portable USB Fuel Cell Charger, reusable charging device, USB Cell Phone Charger. Bookmark the permalink.